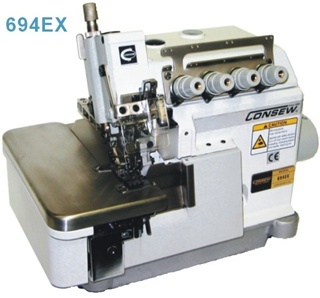 Designed to sew two and four hole buttons on light to medium material. 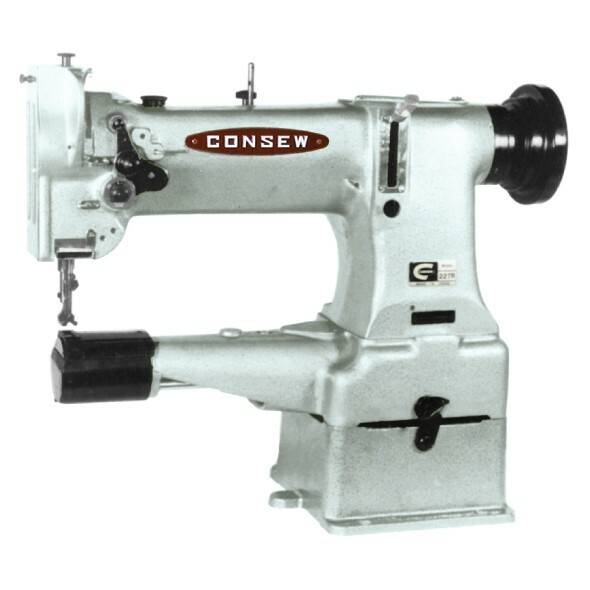 Suitable for sewing snap fasteners, shank, flat and metal buttons; hooks and eyes and label tacking with use of suitable attachments. 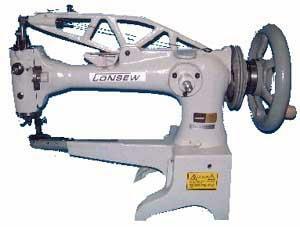 Thread severed by automatic clamp lift upon completion of sewing cycle. 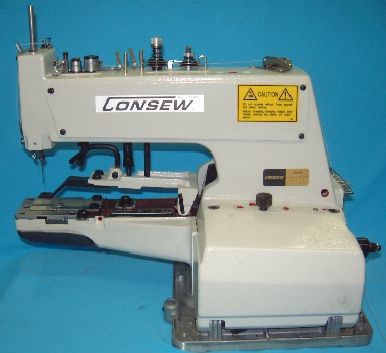 Has automatic scissor action thread trimmer with stationary and moving knife. Cutting action simultaneous with last stitch. 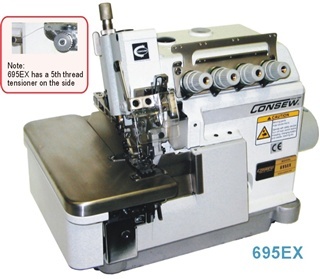 Particularly suitable for use with heavy cotton and synthetic threads.